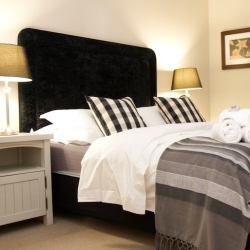 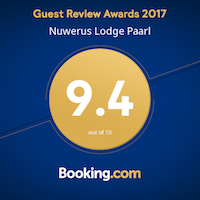 Situated in the heart of the Cape Winelands, just on the outskirts of the historic town of Paarl, lies Nuwerus Lodge. 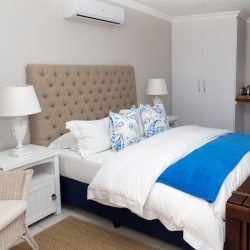 Nestled between neighbouring vineyards, with Paarl Mountain in view, we offer a tranquil and private space that is only a stone’s throw from the center of town. 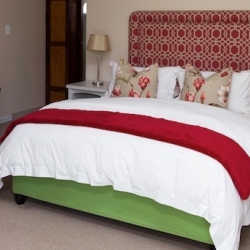 Nuwerus Lodge is situated in a convenient location, near to some of the most famous wine cellars in the Cape Winelands, Boschenmeer’s David Frost Signature Golf Estate, Pearl Valley Golf Estate, and within easy reach of Franschoek, Stellenbosch and Wellington. 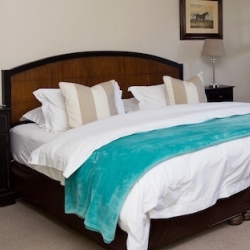 King size bed with lounge, full bathroom and outdoor shower, garden patio.